Geek Grotto - Get Your Geek On! : Nintendo Force magazine has arrived! 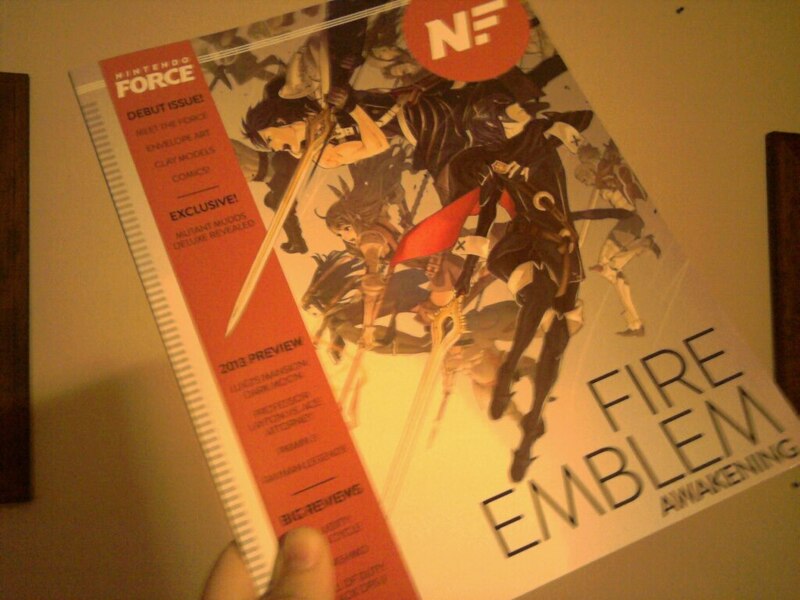 Nintendo Force magazine has arrived! Shorty after Nintendo Power magazine announced to the world that it was ceasing publication , another movement had been announced to said world. A movement that was not sponsored by Nintendo directly, but instead came from a group of die hard fans who intended to put out their own magazine, to share their love for one of the greatest companies in this industry, and more so the longest running video game magazine in history. 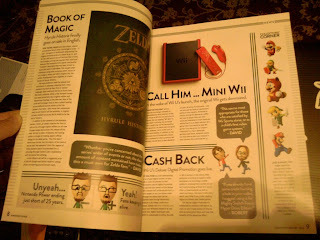 That labor of love, and magazine is Nintendo Force Magazine. With a sweet grass roots effort via the digital plane, the movement picked up speed and soon a Facebook page was established, and further announcements soon followed. It would cost $17.99 for the physical edition + a digital edition, or $4.99 for the digital edition by itself. The magazine would be sold and distributed through HP MagCloud. Of course there was speculation as well, with questions galore. Could they actually follow up with longest running video gaming magazine in the world, with a strong showing? Would it do justice to the incredible legacy that Nintendo Power had left us? Could they strand on their own with no endorsement from Nintendo directly? Would fans rush so soon to a new magazine, so soon after their own ended? Would the magazine justify such a cost? Well I can answer those question for myself, at the very least. Especially since I ordered issue #1 and now have it in my gaming paws. 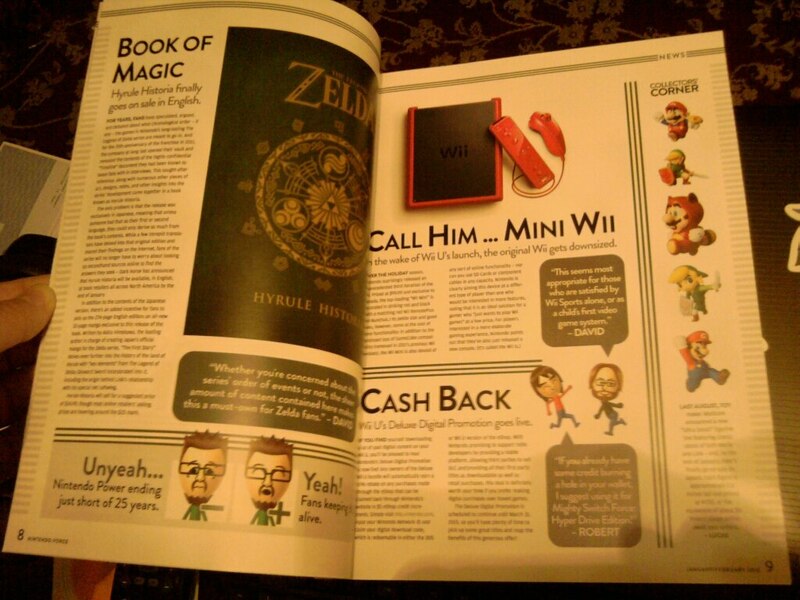 Nintendo Force Magazine came strong, and with authority! It has 76 pages of Nintendo goodness, with NO ADVERTISEMENTS at all. A huge statement for what is the 'new kid' at school. The page quality is incredible, especially after flipping through other current magazines of the like. A great selection of articles and a very nice homage to what was, along with a sweet review of the latest Fire Emblem game to come stateside for the 3DS. 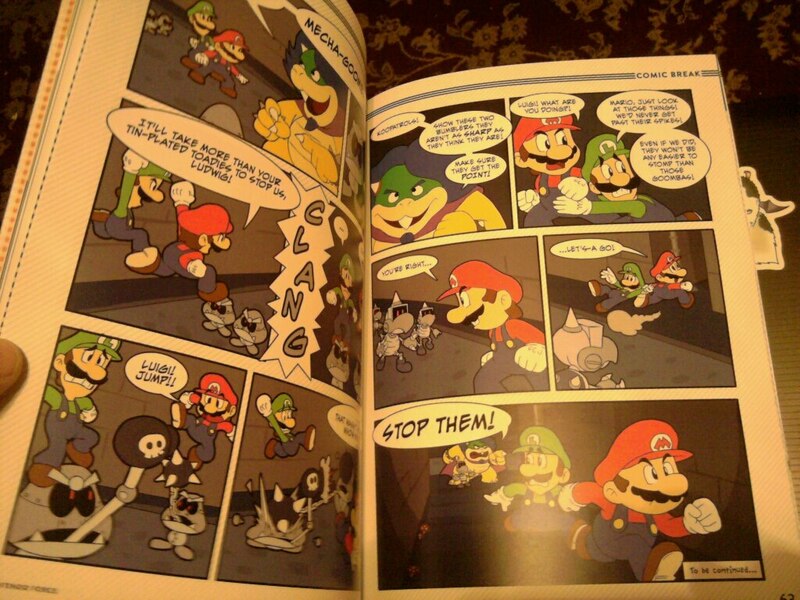 We also have comics, and some nice throwbacks to some of us older Nintendo fans. While I have worries of the pricing issue in the long run in regards the life of this magazine, I will say this right up front. I have been a reader of Nintendo Power since issue #1, and before that the 'Fun Club News'. Every issue have these eyes read, right up until the end. No other gaming magazine holds a place in my heart like Nintendo Power does. I will be buying every single issue of this magazine, make no mistake. Because in my opinion, it is that damned good.